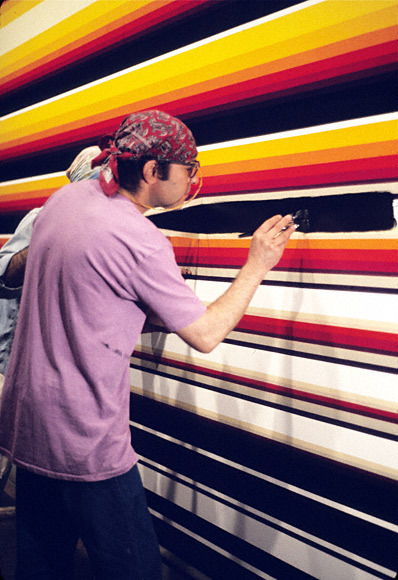 North Wall is part of a series of monumental striped paintings Norman Zammitt began in 1972 that built upon the color relationships he had explored in his acrylic resin sculptures of the 1960s. 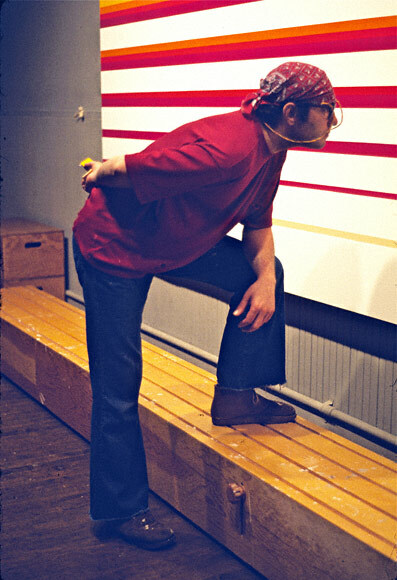 To create these works, Zammitt experimented with sequencing his colors based on mathematical logarithms. 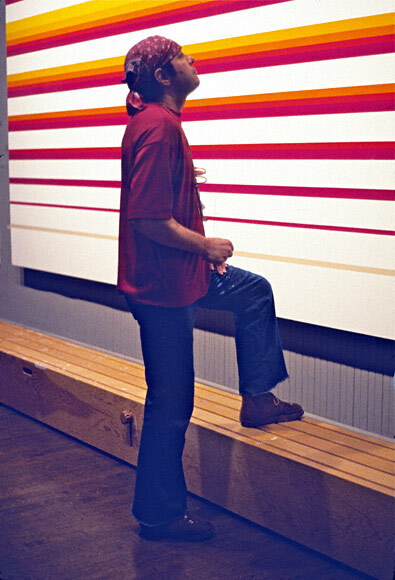 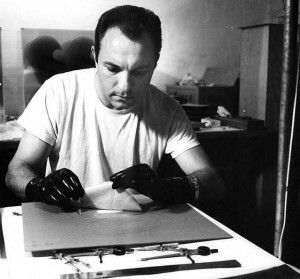 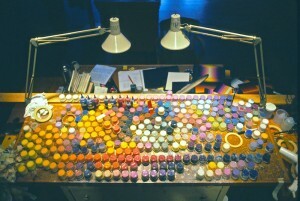 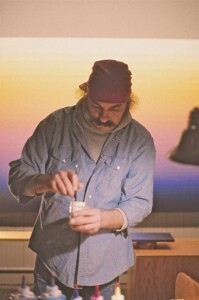 He even consulted with scientists at the California Institute of Technology who gave him access to computers in order to quantify the visual phenomena of his paintings. 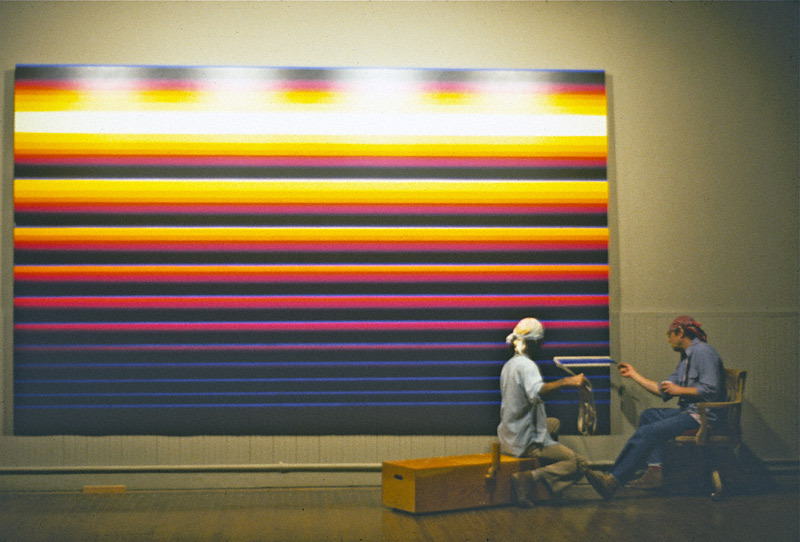 For North Wall, Zammitt precisely measured the width of each band and created parabolic graphs to calculate the color progression; he used this data to design a complex abstract painting that produces vibrant shifts from one band of color to the next.